Box Switch Demonstrate simple Switch animation by sequencing through a set of Box nodes that are each covered by a different ImageTexture. 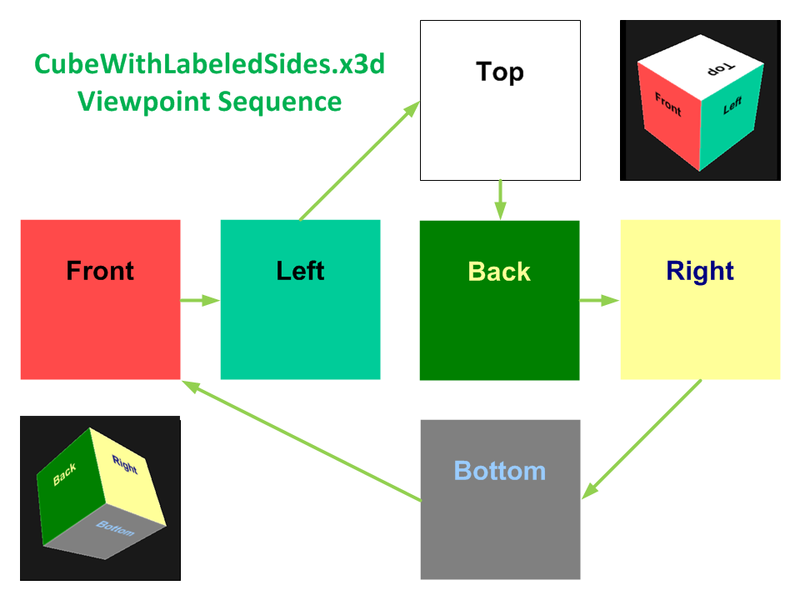 Cube With Labeled Sides Viewpoint Sequencer ViewpointSequencer animation of a cube-shaped test model with faces on each side individually labeled. Origami Cranes Origami Cranes with black/white contrast as art work for Black Swan game. Rotation Calculator Example Demonstrate composition of rotation values using X3D-Edit RotationCalculator.